KDE, GNOME, and Xfce are without doubt the most well-known desktop environments for Linux at the moment. They are utilized by majority of Linux Distributions simply because they are very much stable and usable. But did you know that there are other capable Free and Open-source desktop environments that you probably haven’t heard of? XFast is a lightweight desktop environment that incorporates X and Window Manager within the same project. Its goal is to have a very slim and fast graphical environment that targets (not only) embedded systems with low resources where it is important to have a UI available with short loading times and low memory consumption. XFast is a fork and further development of the Xynth windowing system. It was branched from the original project in order to add some far reaching modifications to the environment that are not compatible with the idea behind the original project. 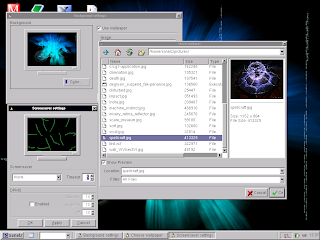 Mezzo was originally available for Symphony OS, but some earlier versions of it were available as a .deb package for other Debian-based distributions such as Ubuntu. Mezzo disposes of standard concepts like "The desktop is a folder" and nested menu systems and instead presents all needed information directly to the user via the main desktop and four desk targets for tasks and files related to System, Programs, Files, and Trash. This tries to simplify the desktop. Mezzo uses FVWM as a window manager. 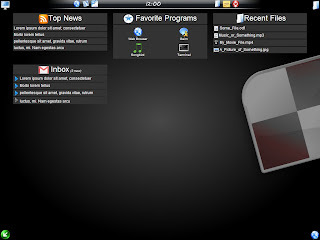 Project Looking Glass is an innovative 3D desktop environment sponsored by Sun Microsystems. It is programmed in Java using the Java 3D system to remain platform independent. 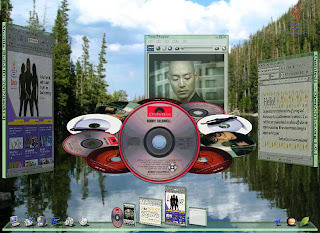 Despite the use of graphics acceleration features, the desktop explores the use of 3D windowing capabilities for both existing application programs and ones specifically designed for Looking Glass. One of its most notable features is the creation of reversible windows. This capability can be used for features like allowing the user to write notes and comments on the windows' backs, or displaying application dialogs without risking them being detached from the application they relate to. All windows start by looking like a normal 2D or 2.5D window, but can be manipulated as thin slate-like 3D objects which can be set at any angle or turned completely around by the user. LXDE is an amazing desktop with Freedestktop.org compliance, which makes it heavier than the first couple DEs you mentioned but also makes it nearly as featureful as Gnome. I recently put it up as the low-end choice for my Debian pre-seed disk. Mezzo is a nice concept and I followed SymphonyOS for quite a while. Not ready for prime time, though. LXDE isn't very popular at all. It's getting some press these days, but ask how many people are actually using it. "LXDE isn't very popular at all. It's getting some press these days, but ask how many people are actually using it." You can have my fvwm-1.24r when you pry it from my cold dead hands! Of course I may some day be forced to upgrade to fvwm2 if fvwm1 fails to compile on newer distros. So far I haven't had that problem. Is anything happening with Looking Glass? A quick look around at the link provided in this article shows little activity. 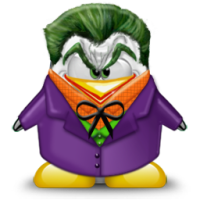 If it's possible, how would you switch Gnome for Mezzo under Ubuntu or any other Linux OS? "If it's possible, how would you switch Gnome for Mezzo under Ubuntu or any other Linux OS?" When you start Linux, you should have a login screen. If not, there may be an option at startup, or you may have to change this in your preferences (sorry I can't be more precise). On the login screen, click "sessions" and you'll have a choice of your available desktops/window managers. HEY! 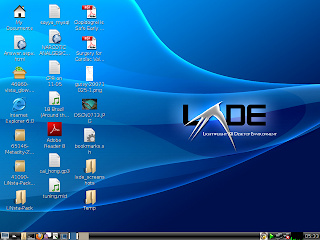 LXDE IS AWESOME! It is really fast and good for *older* computers.